The second time around, brides may be looking for a wedding ring with a little more personality. 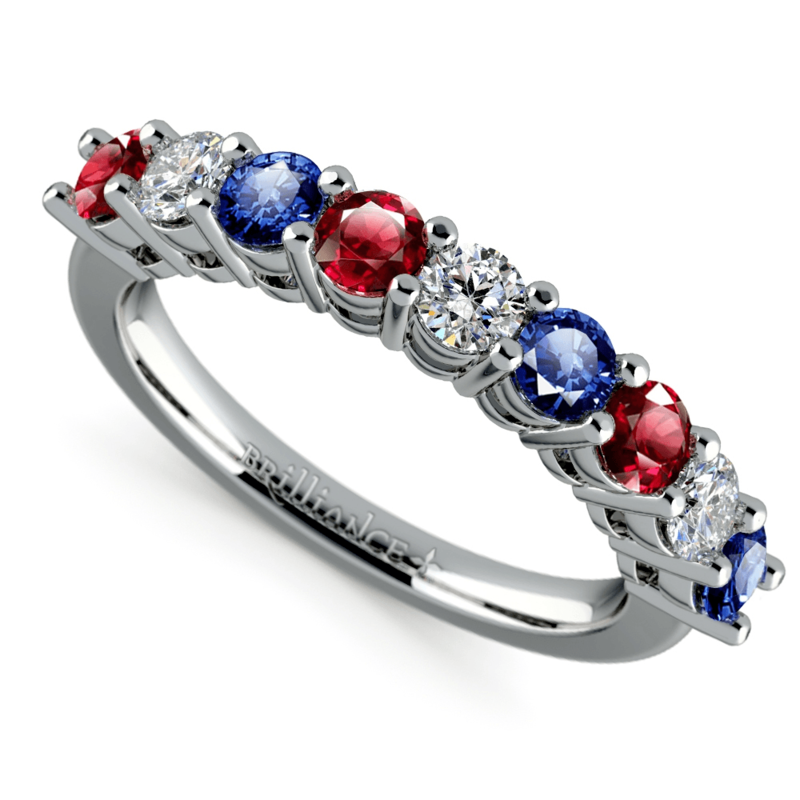 One way to infuse your style into a wedding ring is to add gemstones to reflect your favorite color. If you love the color blue, this sparkling Pave Sapphire Ring will speak to who you are without straying too far from tradition. Interested in adding color, but not sure which one to pick? 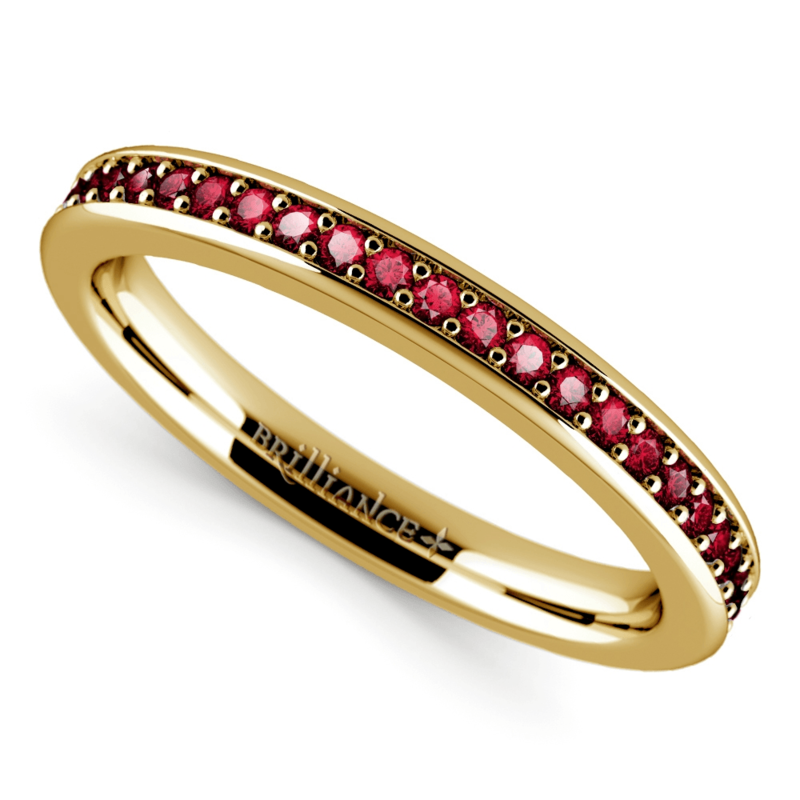 Choosing your birthstone is always a good way to go. Many second marriages also involve children from previous marriages, so consider using your children’s or step-children’s birthstones to add color and to help make sure they feel included in the ceremony and in your new marriage. For brides who want to make even more of a statement with color on their wedding bands, using multiple gemstones with diamonds is a bold choice. When paired with a classic engagement ring style, different colored gemstones will add a burst of energy and uniqueness to any wedding band. This Diamond, Sapphire and Ruby Ring will speak volumes about who you are as a second-time bride: fearless, confident and full of life! 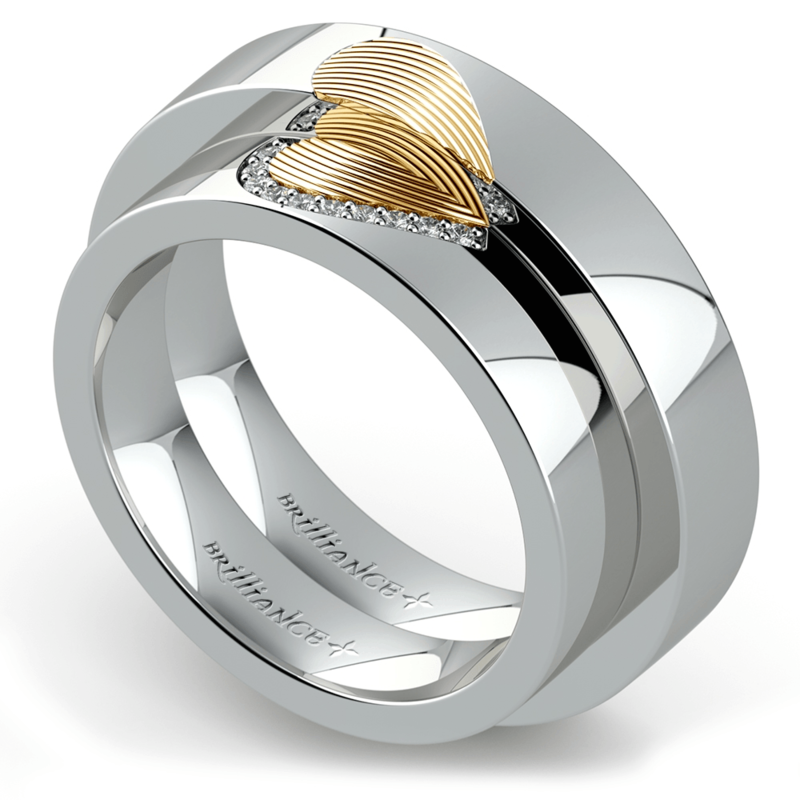 Another style are matching wedding ring sets, like this Matching Heart Fingerprint Inlay Set, which allow you and your significant other to stay connected even when miles apart. The play between the white and yellow gold also adds visual dynamics and layers, making this choice even more daring. By themselves, the rings are eye-catching and unique, but when brought together, they are complete, just like you and your future spouse. Use matching sets to symbolize how connected you feel to your partner. What better way to say I love you than writing it out on a wedding band? Men and women who are getting remarried are often more confident and comfortable with expressing their emotions, making an engraved ring the perfect option for wedding bands. Couples can choose to engrave sweet messages, important dates in their relationship, or even their favorite romantic poems or expressions. Engraved rings not only give couples a chance to express themselves emotionally, but they are also a great way to make sure your ring is 100% original. Do you and your future spouse share the same hobbies? 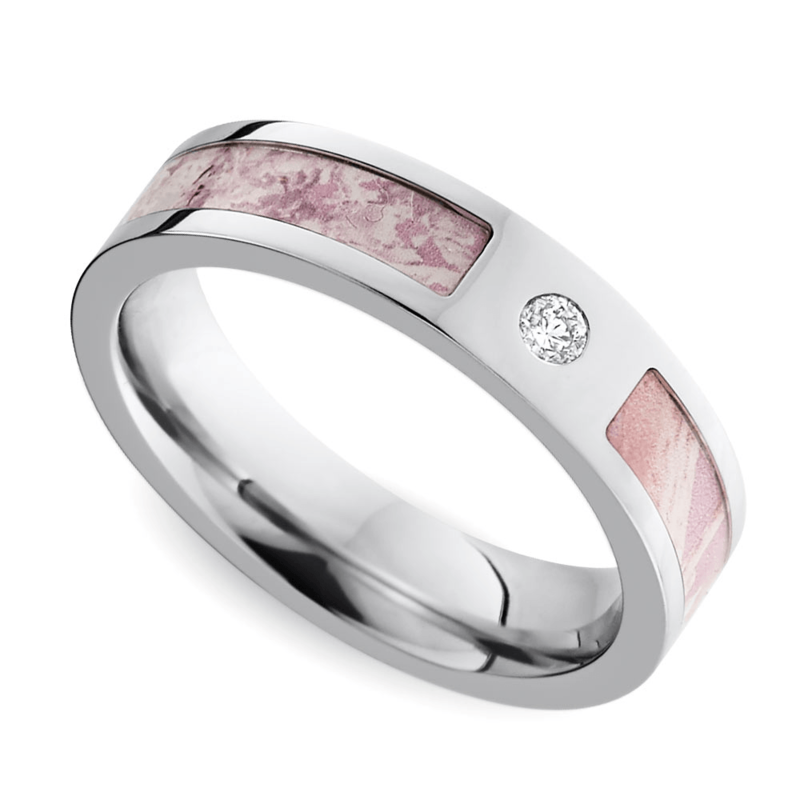 Try to find a ring that incorporates your favorite pastime into its design, like this Pink Camo Diamond Ring for her and Camo Diamond Wedding Ring for him. These rings will reflect something that brought the two of you closer together, so you can remind yourself of each other’s love and companionship every time you glance down at your finger. Sometimes a second marriage isn’t about being unique or special at all, but can be an expression of a deep, and straightforward love found after maturing through a first marriage. If you are thinking of a simple wedding rather than the big to-do that may have been your first ceremony, consider a traditional, plain wedding band like a comfort fit wedding band as a pure expression of your commitment to your new spouse. For a classic and contemporary look, consider going with a emerald cut wedding sets. Choosing the perfect wedding ring for your second trip down the aisle may seem like a daunting task, but can actually be a fun and meaningful experience while shopping with your partner. Look no further than Brilliance, the leading online diamond retailer, with hundreds of options for both men’s and women’s wedding rings.